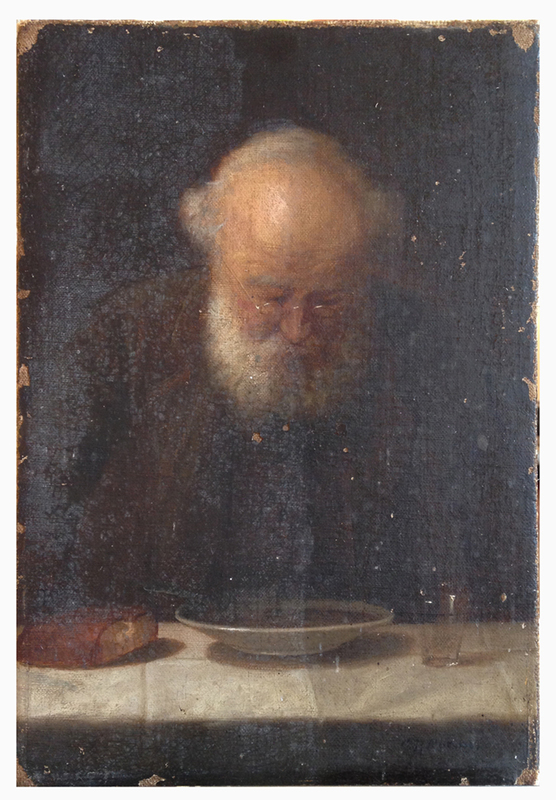 This lovely little painting of a man giving thanks for his food, came to us in need of cleaning and a bit of in-painting. It had a film of some kind over it, and it really needed some careful attention. The results of this restoration left it with more contrast, detail, and the subtle colors were brought back to life. 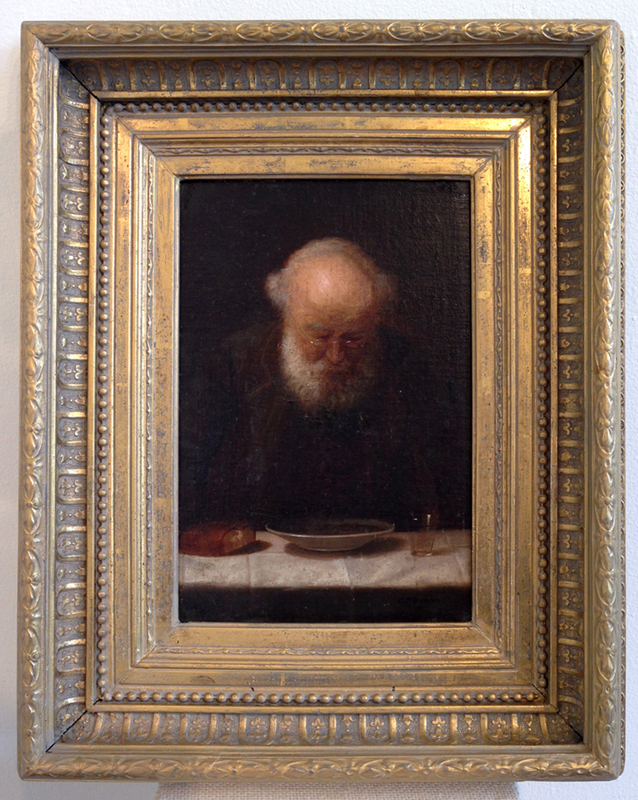 It ended up being a lovely painting, that framed well and looks great. Here are the before and after photos.